Nava's love for architecture encouraged her to move from Iran at a young age to study in Italy at the University of Politecnico Di Torino. Not being able to go back to Iran because of the Revolution, she settled in Italy where she met her husband, Sharam. She became a successful entrepreneur and was able to create a large corporate business nation wide with her husband. 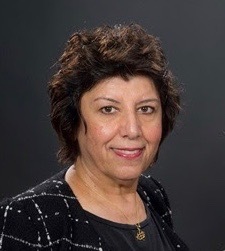 A few years later, she decided to move to Canada to be with her maternal family, who were persecuted in Iran because of their beliefs and found refuge in Canada in 1982. Having fallen in love with Canada, she permanently moved to Vancouver in 1992. Maintaining her ties with Italy, she helped Sharam with their different businesses in Italy and their import and export business. In 1993 her daughter, Hedieh, was born in Vancouver and after a few years decided to continue to pursue her passion in real estate. In 2009 she became a licensed Realtor, which allowed her to express her experiences as a businesswoman and investor for the past 30 years.